Guided Grand Canyon Full Day Hikes with lunch and gear provided. Available daily from Flagstaff, Williams, Tusayan. Safe and Fun! * All times are approximate see pickup and drop-off below. Prices include lunch, entrance fees, gear, and taxes! Our Intermediate Grand Canyon Hike is available from Flagstaff, Williams, Tusayan, and Grand Canyon Village. This hike is moderate to difficult and where we hike depends on the experience and physical ability of the day's group. You are guaranteed a day on the trail. The Intermediate Day Hike is for guests who want a physical challenge, a more intimate "below the rim" Canyon experience, or perhaps have visited the Canyon before. After pickup you will enjoy a scenic drive to the Grand Canyon South Rim where there will be a short orientation where your guide will asses the group and choose a trail based on that particular group's experience. Our Professional Guides are experts in the most incredible places and will use the "safety, fun, and learning" approach to their trail selection for your group. 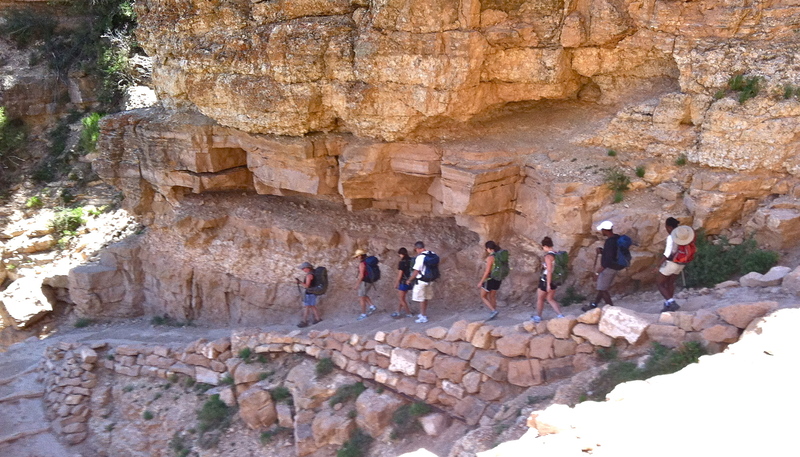 South Kaibab Trail - This well-maintained corridor trail offers spectacular views of the Grand Canyon. Grandview Trail - The Grandview Trail is one of the best non-maintained trails in Grand Canyon for families and new hikers; it is an excellent trail to get away from the crowds. Hermit Trail - The Hermit Trail is non-maintained and provides a good challenge. This is a trail that will get you away from the crowds, so you can experience the true solitude of Grand Canyon. Bright Angel Trail - The Bright Angel Trail is one of the two corridor trails of the Grand Canyon. The Bright Angel Trail during certain times of the day can offer shade, while other trails may not offer this comfort. Your tour is guaranteed at least 5 hours in the park! Your pickup time will vary depending on your choice of stay place. Drop off times depend on group size, traffic, and hiking ability. We will confirm your exact pickup time at booking and you will also receive an email confirmation containing these details. Sturdy shoes (make sure they are broken in), any type of shoe with a good tread will work. ie: Hiking boots, tennis shoes, hiking shoes. Please no high heeled shoes, dress shoes or flat soled shoes such as Vans. Light colored T-shirt, cotton or synthetic will work. Shorts or comfortable pants (jeans are not recommended). Light colored long sleeved shirt, to cover your skin from the sun. Rain jacket / waterproof shell. Rain pants / wind pants. Grand Canyon is home to spectacular biological diversity, but it is unmistakably a desert once you are in it. Hikers who venture into the interior of the Canyon from May through September can expect daytime temperatures to regularly exceed 100°F (38°C). In fact, it is not uncommon for temperatures to climb above 120°F (49°C) during the hottest days in the summer. Such conditions will challenge even strong and fit individuals, so be ready. Below the Rims of Grand Canyon, hikers will find cliffs and steeply sloped terraces, and very little else. Almost any hike into Grand Canyon will require visitors to descend steeply down the trail, and your lower body and joints will work very hard to keep you balanced and keep your downhill momentum under control. Since what goes down must come back up again, any elevation loss will be regained sooner or later. Grand Canyon trails are steep and rugged, but the important unique factor to consider when exiting the Canyon is the elevation of the Rims. As you ascend toward the end of a trip, you must achieve elevations of up to 7,400 feet (2,250m) back up to the South Rim. These elevations are higher than most people are accustomed to, and oxygen is more scarce. Uphill progress and breathing will typically become more difficult. 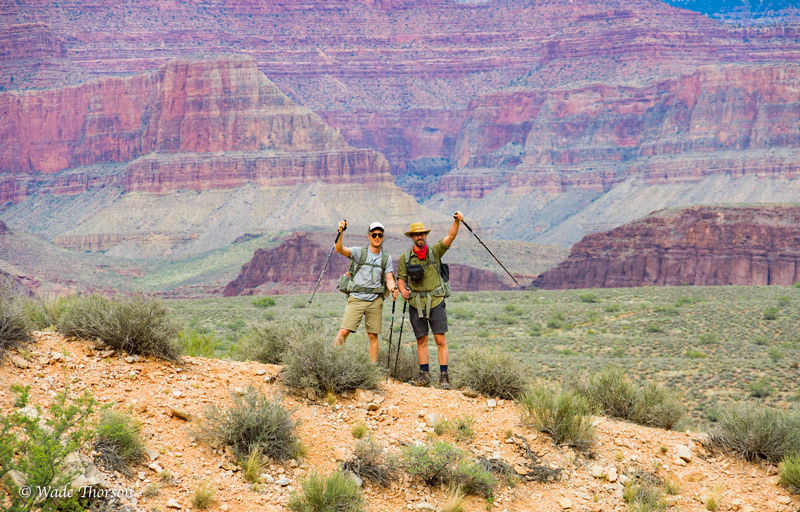 We believe it is important to be as physically prepared for your Grand Canyon hike as possible. Proper training will generally make your hike more safe, pleasant, and enjoyable. It may be important for you to visit with your primary health care provider (HCP) prior to a Grand Canyon hike, and even before you make any significant additions or changes to your regular exercise routine. This is especially important if you have known chronic health conditions. Conditions of the heart, lungs, or otherwise may put you at high risk as you prepare for the physical challenges of such a trip. The best training for hiking is … hiking. Make time to go on regular “prep” hikes, preferably once a week or more. Start with a hike that is a comfortable distance for your level of ability. Work your way up gradually to a distance that is comparable to the distance you plan to do on your hike with us. Incorporate as much elevation change as possible into your hikes. Steep hikes with significant elevation gain and loss will be more comparable to Grand Canyon conditions, and will prepare you better for your trip. When you are unable to get on the trail for training, stadium bleachers and stairways in tall buildings are certainly useful. However, the majority of the training that most of our guests will do regularly will happen at the gym or health club. For your regular daily workouts, focus on five main categories: cardiovascular and pulmonary stamina, core strength, mid and lower body stability, overall strength, and flexibility. Full-day hike on a Grand Canyon South Rim trail. Trail selection is at the guide’s discretion, according to our hiking principles: "Safety, Fun, and Learning." Hikes can be between 2.4 miles (3.9 km) and 4 miles (6.4 km), and over 1,100 vertical feet (335 m) one way. Typical duration of the dayhike is 4 to 5 hours. Travel safely in an ADOT certified touring vehicle. Hikes are limited to 7 guests. Picnic style lunch on the trail provided by Brandy's Restaurant featured on the Food Network show Diners, Drive-In's & Dives. Bottled spring water, beverages, and trail-friendly snacks served throughout the tour. The Intermediate Day Hike is a mid-length hike that can be enjoyed by guests who are fit and active. Guests travel with their guide to an introductory viewpoint, and then into the Canyon for a fully-narrated day on the trail. Guides share their intimate knowledge of local geology, flora and fauna, biology, natural and cultural history, while guests experience the rugged and vertical terrain around them. Available from Flagstaff, Williams, Tusayan, and Grand Canyon Village, this hike is moderate to difficult and where we hike depends on hiking and physical ability of the group. You are guaranteed a day on the trail. Our experienced Professional Guides, fantastic picnic lunch which is served on the trail, and comfortable vehicles makes for a great Grand Canyon Day Hike. Our tour is all-inclusive and we strive to provide you everything you need to have a great day hiking. This includes lunch, snacks, water & beverages, and gear such as hiking poles, backpacks, and crampons (for icy conditions). The Intermediate Day Hike includes round trip transportation from all Hotels, Bed & Breakfasts, and RV/Campgrounds in Flagstaff, Williams, Tusayan, and Grand Canyon Village. This is a full day on the trail and pickup and drop-off times depend on your stay place! If you would prefer a Private Day Tour, we offer private day tours to guests staying in Flagstaff, Sedona, Williams, Tusayan, Grand Canyon Village, and Phoenix or Las Vegas. We also offer Private Day Hikes and Private Grand Canyon Backpacking trips. 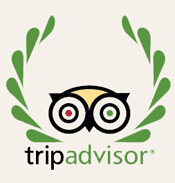 You are welcome to give us a call and talk to a tour planner now (928) 814-8887.